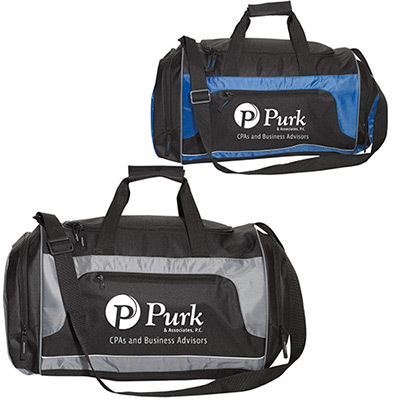 The imprinted Sports Duffel Bag is a versatile bag that can hold your clients' essentials while they hit the gym. 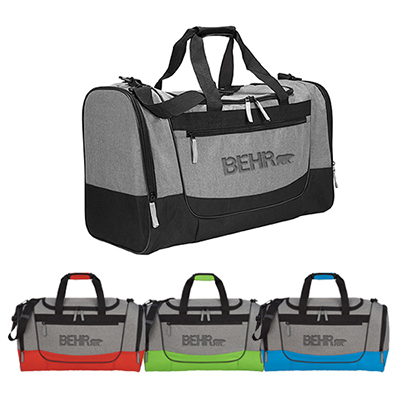 This bag has ample storage space for everything, from a change of clothes to water bottles. 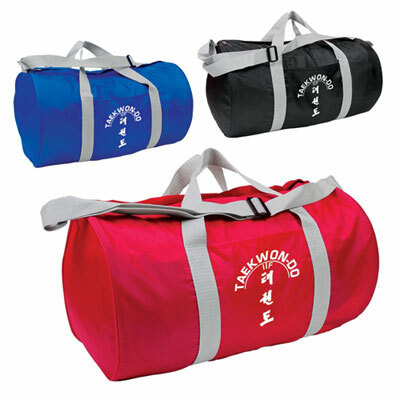 It has a durable polyester and microfiber mesh construction. 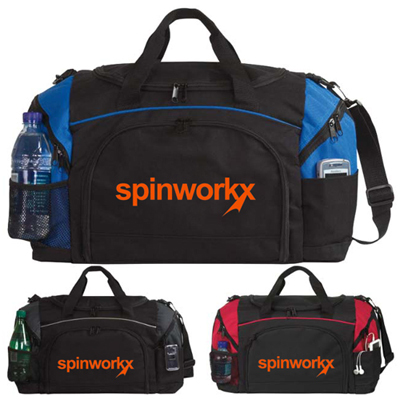 Imprint your logo to enhance your brand’s visibility. Hurry up and place an order with Promo Direct today! "This is a product that my customers will love to receive, and use for a long time!" 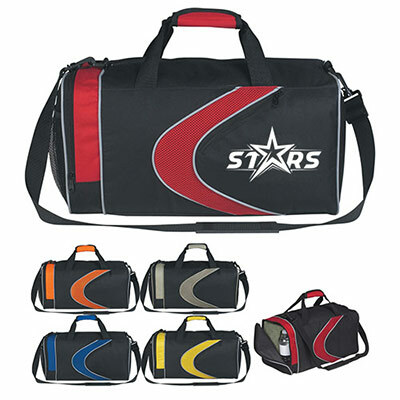 Features web handles with Velcro® closure!